From books to jail, Jane and Benjamin will save many lives. In the book, The Apothecary by Maile Meloy, there two high school students named Janie and Benjamin. Janie is a new student who moved from Los Angeles to London. 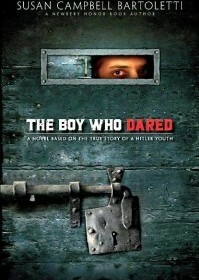 Whereas Benjamin is a boy who isn’t afraid to stand up to authority, and who dreams of becoming a spy.